If the wet weather spooked you out of trick-or-treating last weekend — or if your candy got a little damp — you have a do-over coming on Friday, Oct. 31. Wring out your cape and wear it to the Arcata Plaza, where kiddies can collect candy from 4 to 6 p.m. (free). 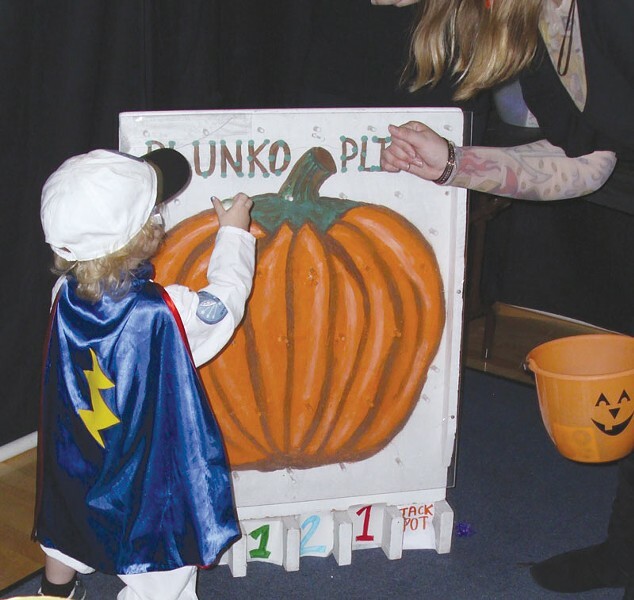 On the same night from 5:30 to 8:30 p.m., the Faith Center puts on the Halloween Kids' Carnival at Redwood Acres Fairgrounds with games and goodies for the under 5th grade set (free). You can also take your candy bucket and children under 10 to the Arcata Community Center from 5:30 to 7:30 p.m. ($2 donation, free to kids 2 and under). Over 10 but not over Halloween? Kids 10 to 17 can don costumes and party at the Boys and Girls Club Eureka Teen Center from 9 p.m. to midnight ($7, $5 with costume). Throw your pointy hat in the ring for the dance-off, do some competitive pie eating and enter the costume contest.